"Interpersonal skills" refers to mental and communicative algorithms applied during social communications and interaction to reach certain effects or results. The term "interpersonal skills" is often used to refer to the measure of a person's ability to operate effectively through social communication and interactions. Interpersonal skills are how people relate to one another. As an illustration, it is generally understood that communicating respect for other people or professionals within will enable one to reduce conflict and increase participation or assistance in obtaining information or completing tasks. For instance, to interrupt someone who is currently preoccupied with the task of obtaining information needed immediately, it is recommended that a professional use a deferential approach with language such as, "Excuse me, are you busy? I have an urgent matter to discuss with you if you have the time at the moment." This allows the receiving professional to make their own judgement regarding the importance of their current task versus entering into a discussion with their colleague. While it is generally understood that interrupting someone with an "urgent" request will often take priority, allowing the receiver of the message to judge independently the request and agree to further interaction will likely result in a higher quality interaction. Following these kinds of heuristics to achieve better professional results generally results in a professional being ranked as one with 'good interpersonal skills.' Often these evaluations occur in formal and informal settings. 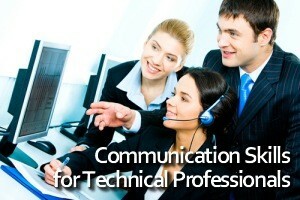 Having positive interpersonal and communication skills increases productivity since the number of conflicts is reduced. In informal situations, it allows communication to be easy and comfortable. People with good interpersonal skills can generally control the feelings that emerge in difficult situations and respond appropriately, instead of being overwhelmed by emotion. Look at the teams within your organization. Static or fluid in nature - many have been assembled to handle tasks that are highly complex. To manage this complexity, individual team members bring a different combination of skills requiring a coordination of efforts. Effective communication skills play an important role in allowing individuals to maximize their strengths as well as minimize their weaknesses. This often directly impacts how successful an organization is in achieving their goals. From resolving misunderstandings with members of your team to negotiating the terms of a contract, we’re all faced with the need to influence others. But mastering the skill of assertive communication takes time and practice. Influencing with Assertive Communication is aimed at developing the skills individuals need to express themselves directly and honestly, while preserving relationships and respecting the rights of others (learn more..). Using a combination of experiential tools such as learning instruments, activities, and hands-on games, participants discover how their roles and styles as speakers and listeners drive the communication process and practice the skills that enable them to improve everyday communication (learn more..). Personal influence is a powerful factor in today's work world. How we communicate can have a direct impact on whether we are successful at influencing others. For over 20 years, the Interpersonal Influence Inventory has helped thousands of professionals assess their own influence styles and work toward communicating more effectively (learn more..). Let's face it — although most of us like to think we're good listeners, the fact is almost everyone needs to improve his/her listening skills. Focusing on concrete behaviors and skills, Learning to Listen is an assessment that allows individuals to measure and take action on their listening strengths and weaknesses (learn more..). Sight, sound or touch? Developing an awareness of your preference and those of others can improve communication skills dramatically. The Neurolinguistic Communication Profile enables individuals to identify their unconscious preferences toward one of 3 sensory channels used in filtering and communicating information: Auditory, Visual, or Kinesthetic (learn more..). Designed for use by anyone who is called upon to prepare and deliver presentations. Those who require their audience to agree with a conclusion and/or course of action will gain particular benefit by using the profile (learn more..). A powerful tool for helping facilitators explore this sensitive issue. 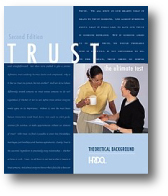 Trust’s 24-item assessment provides insight on the dimensions of trust-related behaviors. Participants find a deeper understanding of trust, which they can apply to their individual, team, and organizational relationships (learn more..). 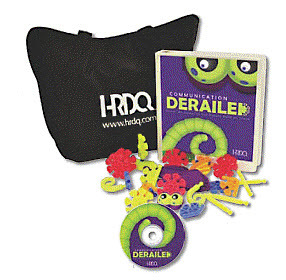 Tackle even the most difficult communication problems with Communication Derailed, an engaging simulation game that demonstrates the profound impact of poor communication — and then teaches the skills needed to communicate effectively. An effective communication and team training game. Visual communication tools and images surface team differences, improve group and team interaction, establish rapport, and encourage dialogue. Whether communication is being addressed directly or indirectly in your training program, lay the groundwork for skill development with SkillBuilders: 50 Communication Skills Activities. This collection of activities addresses all 3 learning domains (cognitive, affective, and behavioral) and involves participants directly in the learning process through its interactive approach. Complete training materials in a customizable, reproducible file format. Introducing the Reproducible Training Resource Library, a collection of customizable and reproducible programs. 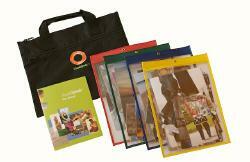 Each program comes ready to train, complete with a Participant Guide, Facilitator Guide, and PowerPoint® presentation. Titles are half to full-day programs on the topics you need to deliver today. The simple click-thru license agreement allows you to use the content within your organization on an unlimited basis. Buy any individual program for $399 or all 80 programs for $7,500. Learn more about these Reproducible Training Programs or call 1-800-257-4916 to order. 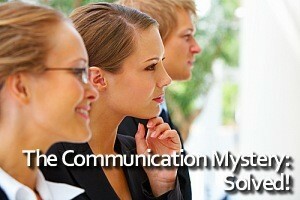 Lay the foundation for more effective communication in this highly interactive workshop. Develop creative ways to establish rapport and build relationships through a deeper awareness of the power of nonverbal communication. Learn how to avoid common communication barriers. Recognize communication styles preferences, and tailor your communication to be more effective with each style. Learn methods for de-escalating difficult situations and resolving conflict effectively. Through a series of structured experiences, develop and learn to apply skills that improve your effectiveness when marketing your services in any communication skill. This is an accelerated learning program in which learners will complete a series of activities through which they will learn communication skills, as well as uncover a murder mystery. In this course the instructor plays both the trainer, as well as a cantankerous police chief. The ability to communicate, cooperate, coordinate, resolve differences and persuade others effectively will determine success as much as the ability to perform the technical aspects of the job. This program will help technical employees build rapport with a wide variety of individuals, prepare effective business documents and prevent unnecessary conflict. When talking about trust in the workplace, there are two levels of trust that are in play, organizational trust and personal trust. Many times these two levels are intertwined and are hard to tell apart. Leaders within your workplace often have an incredible amount of influence over the culture of trust in your organization. This program will teach you the benefits and behaviors that will inspire a trusting culture, recognize and practice the Five Pillars of Trust and regain trust that has been lost. Trust is the key to a cohesive and collaborative organizational culture. It is not unusual to hear people in companies say, "We have a communication problem here." This two day program will provide methods and information to analyze and improve your own communication and help you help others. We communicate in many ways: with our words, tone, eyes, and bodies to name a few. Understand the hidden meanings behind the various communication methods and devise strategies to communicate more effectively and avoid unnecessary conflict. Today's leaders need to be able to establish good lines of communication quickly and effectively. This course allows participants to assess their communication style based on the Personal Style Inventory. They will use this knowledge to identify their audience, decide the most appropriate communication approach and practice communication skills needed for powerful and effective leadership. A difficult conversation doesn't need to become an ugly confrontation. Dealing With Difficult Conversations, the newest title in the Reproducible Program Library, can help you better prepare for communicating under tough circumstances to make your message more effective, help you better control the situation, and achieve a positive outcome.